Soak the channa in water overnight. Wash and pressure cook for 12 minutes on low flame after the first whistle. Add yam and banana pieces to the cooked channa. Add turmeric, chilly and pepper powders. Mix well and pressure cook for 5 minutes on low flame after the first whistle. Grind the above mentioned ingredients to a coarse mixture, adding a little water. Add this to the cooked vegetables and channa. Also add jaggery and salt to taste. Mix well and just heat the curry once more. Switch off the flame. Heat 1 tbsp of oil in a small non-stick pan and splutter mustard seeds. Add urad dal and then red chillies and curry leaves. Fry for a few seconds and pour it over the curry. 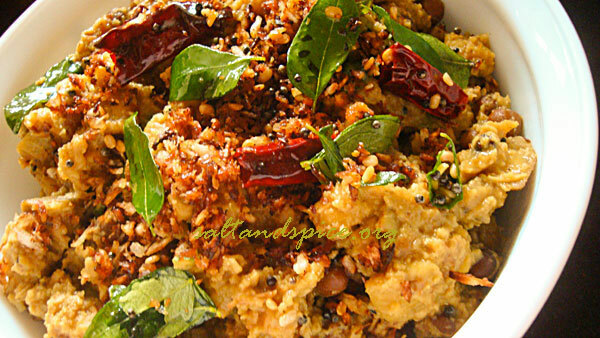 Heat 1 tbsp more of oil and roast the grated coconut till it turns golden brown in color. Add this to the curry and mix well. 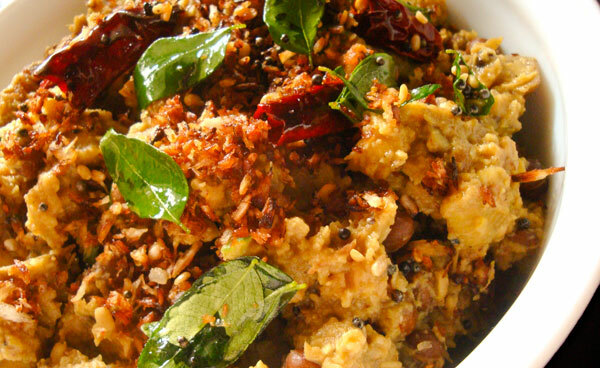 Delicious ‘Malabar Kootu Curry’ is ready to be served! 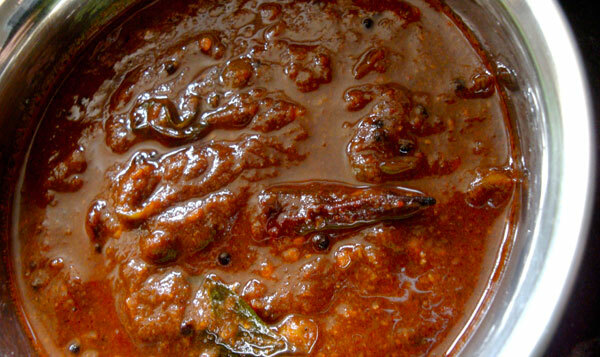 ‘Kootu Curry’ is an important curry served for ‘Onasadhya’. This is the Malabar version of ‘Kootu Curry’. Adding jaggery makes the curry yummier, but is optional. Cheers!!! Will try this out. Looks so good.